5 Languages of Apology–What’s Yours? Dr. Gary Chapman is the author of several books, including The Five Love Languages and The Five Languages of Apology. 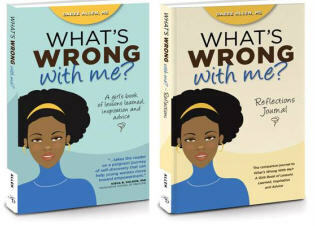 I sought this book after my latest breakup where I got a text saying “You didn’t deserve that last night. I’m sorry but you…” Once I saw that, I immediately tuned out because to me, that message was worded as if he was justified for hurting me the way he did. Either you’re truly sorry or you’re not. I got over it and we briefly resumed our relationship, but sometimes you have to let bygones be bygones… and then BE GONE. 1. Expressing regret: If the person you’ve hurt has this language, they want to know “Do you understand how deeply your behavior has hurt me?” You need to say you are sorry and what specifically you are sorry for. 2. Accepting responsibility: If the person you apologize to has this apology language, they want you to accept responsibility for what you did or said and acknowledge that it was wrong. 3. Making restitution: If someone has this apology language, what they really want to know is “do you still love me?” Your behavior seemed so unloving to them that they wonder how you could love them and do what you did. 4. Genuinely expressing the desire to change your behavior: When this is someone’s apology language, if your apology does not include a desire to change your behavior, you have not truly apologized. Whatever else you say, they do not see it as being sincere. 5. Requesting forgiveness: If you offend someone who has this apology language, the words “will you please forgive me?” are the words they want to hear. Requesting forgiveness is the way to touch their heart and is the way that feels sincere to them. Why is it so hard for some people to say I’m sorry, as opposed to “I apologize/I regret/I wish/My bad”? The S-word seems to carry a lot of weight, and requires someone to swallow his or her pride for the sake of holding onto a relationship (friendship, partnership). It’s ALWAYS an issue in reality TV shows. One person says something about another, and an apology is sought (but not often attained). 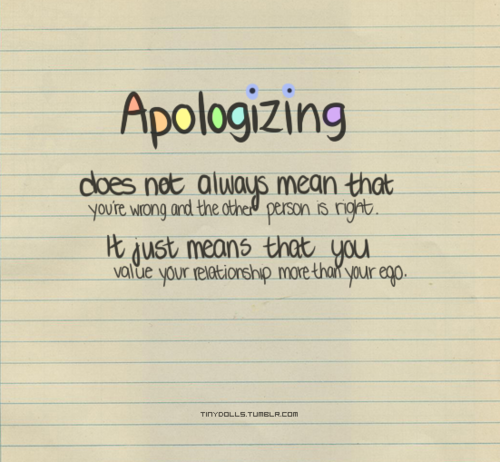 Once you sincerely apologize, you can’t worry about whether the other person forgives you. It’s up to them. Once you do your part, let God take care of the rest. Which language of apology do you need when you’ve been offended? Which language of apology do you speak when you are the offender?